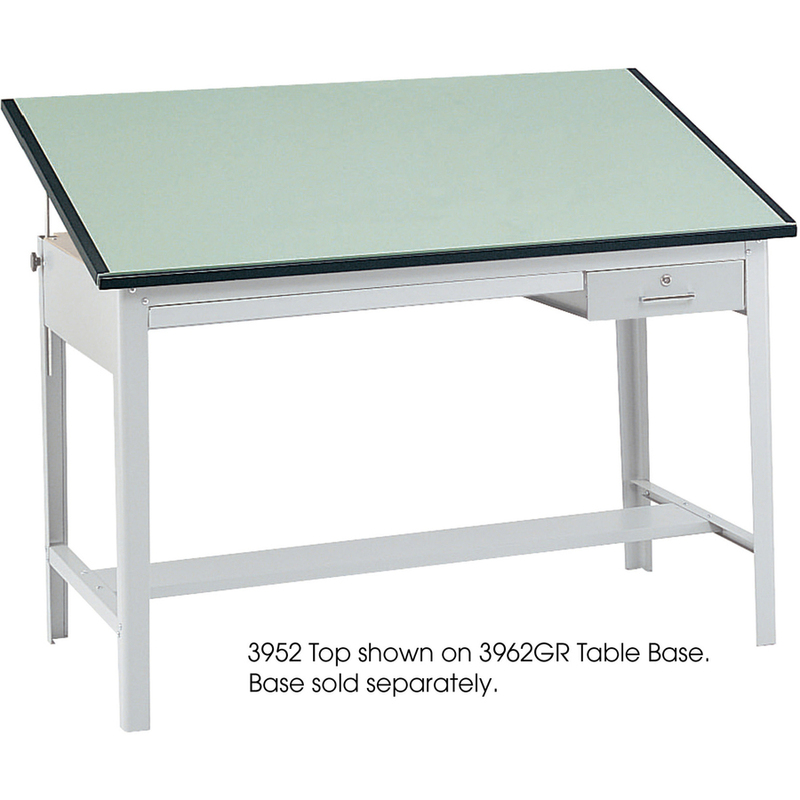 60" wide x 37-1/2" deep x 1" thick Drafting Tabletop has a durable, extra-thick melamine construction with a nonglare green laminate finish. Wide design accommodates oversized papers. Does not have a pencil guard. 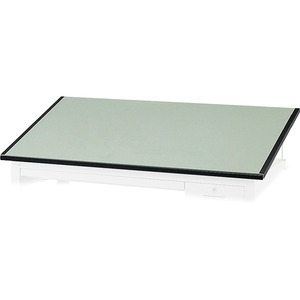 Is designed to be used with the Safco Precision Drafting Table Base. Tabletop and base are sold separately, so you need to order both.